Today, urban environments comprise limited ground garden space, leading to unimaginable difficulties when it comes to gardening. A rooftop garden is arguably the most suitable option to enjoy all the virtues offered by outdoor spaces and gardening, particularly when the available land is limited such as is the case in urban areas. 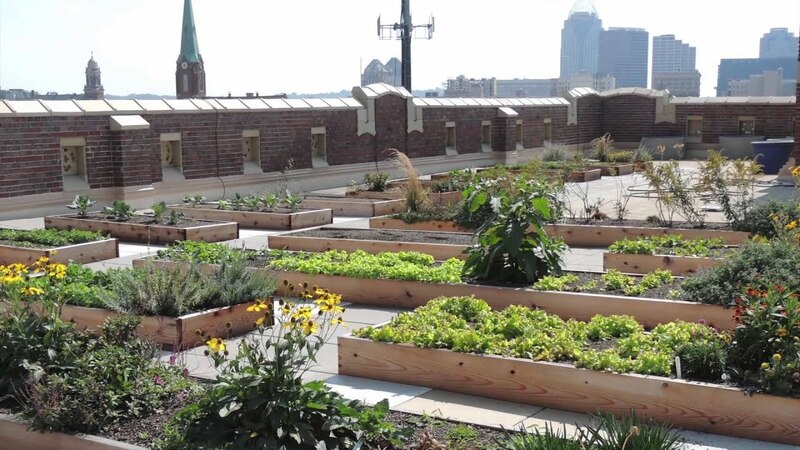 It is, therefore, important to find out if creating a green garden on your roof, which can help in the fight against world hunger, is a possibility before you begin. Of additional importance is to be certain the regulations allow for the creation of a green garden. If you have a freeholder confirm whether or not building it is permitted, you should not invest a lot of your time and money in the preparations of a green garden only to find out such a development is prohibited. Additionally, check to confirm whether your roof has the necessary strength to support the total weight of a rooftop garden. Most of the houses featuring flat roofs are not suitable for green roof gardens, mainly because such roofs are rarely strong enough, which means you might have to engage the services of a professional to determine how much weight such a roof can hold. Consult a structural expert to be sure your roof garden will not cause any damage to your house. When creating your green roof garden, be sure to consider the weight factor and to always use light containers, flooring, and furniture. Plan and execute an ideal access to the surface of your roof. Engage the services provided by both a green garden specialist and an architect, which you may find necessary and quite helpful. Select a design and figure out the most suitable layout for the roof garden. If you are unsure about the design, use a designer, particularly as it is at this stage that you make some of the most important decisions concerning floors. Figure out a planting scheme that includes only the plants more likely to work well in the conditions such as the amount of humidity, natural light, and wind. Engage either a landscape designer or planting expert for assistance. Get the required containers, furniture, and planters for your roof garden. Remember, the size of these planters and containers depends on the type of plants you intend to plant and should be both lightweight and stable. Consider how best to fix and integrate these features into your scheme. Come up with an efficient mode of watering the green garden. The installation of either an automatic irrigation system or a water storage system are arguably the best options in this case. Alternatively, you could always manually ferry water up your roof, although this significantly depends on whether or not your roof access allows it. Because rooftop gardens are usually extremely windy, consider the installation of windbreakers, which can be trellises or any other lattice windbreaker. Remember, windbreakers should not be entirely stable since they might blow over easier. Seasonal flowers, perennial flowers, vegetables and fruits and succulents can all be successfully grown on green rooftop gardens with a suitable support system in place to guarantee an adequate weight bearing capacity. Apart from the trees that grow to great heights, you can try planting any other plant in your green garden. You must, however, bear in the mind the total weight of the soil required. Heat, winds and torrential rainfall are among the elements capable of significantly affecting you roof gardening in a negative way. Installing small wooden platforms will elevate the plants to a height slightly above that of your roof, increasing the ventilation around your plants. You can also use the rooftop room as a store or shade. Make sure your support is adequate, especially since large pots filled with wet soil usually are quite heavy. For the areas of your roof not built to withstand heavy loads such as snow loads, placement of potted plants is risking structural damage. Whenever you are unsure about anything when it comes to green gardening, consult specialists to ensure you do not take actions that might damage your property.